Young And The Restless Rumor: Reed Started Fire At Newman Ranch? 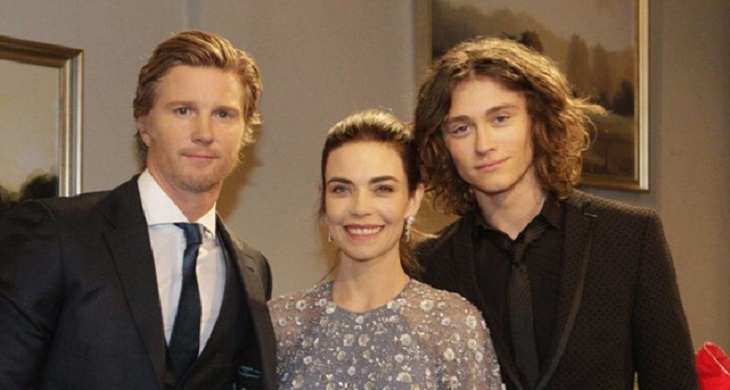 The Young and the Restless (Y&R) spoilers tease a big break in the Newman fire case will rock Genoa City. One of the most popular rumors making waves on social media is Reed (Tristan Lake Leabu) is the fire starter and he will come back home to unleash his fury on his mother, Victoria (Amelia Heinle) and his grandfather, Victor (Eric Braeden). 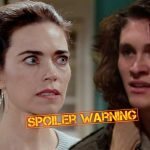 Young And Restless Spoilers – Who Started The Fire? Right now, there are no leads on who started the fire. Rey (Jordi Vilasuso) doesn’t have any leads to who could have started the blaze. At first, the Newmans’ suspected Tessa (Cait Fairbanks), but now they believe she is innocent. So, if not Tessa, who could the culprit be? Could Reed Be The One on Young And Restless? Reed is not a mean or calculating teen. He doesn’t seem to be the type to start a fire and put the lives of the horses on the line. However, it cannot be discounted that he could be very angry with his mother and grandfather, especially after JT tried to kill Victor. The angry teen may believe that Victor lashed out against his dad and killed him. Soap Opera Digest posted a picture of Reed in the middle of an intense conversation with Nikki (Melody Thomas Scott) and Victoria. It seems to suggest that he is angry and looking for answers. Even if he was angry with his mother and grandpa, that doesn’t mean Reed started the Newman Ranch barn fire. He cannot be discounted yet, as the Y&R viewers have seen previously, Reed can get pretty angry and lash out at his family. We’ll have to wait to see how it plays out when they reveal who started the barn fire. Do you think Reed could have started the blaze? Don’t forget to come back later for more Young and the Restless (Y&R) spoilers, news, and casting updates! General Hospital Spoilers: Who Is Ava Jerome’s Surprise Visitor?